Our monthly warehouse sale is a great opportunity to purchase hardwood flooring products at rock bottom prices! These sales do not necessarily mean that the floors are defective, but it may simply mean that we have just had the floors in stock too long and we want to liquidate our excess inventory. If we do have floors with defects, it may just be a minor imperfection that we are not comfortable with selling on our website. Regardless of the reason, we open our doors one weekend each month so that you can get the best possible deal on hardwood floors! Most of the hardwood flooring inventory that is included in our warehouse sale is NOT listed on our website. In fact, our inventory will usually be discounted at our monthly hardwood flooring clearance sale before the price is lowered on our website. This means that customers attending our warehouse sales have the first pick of hardwood flooring at discounted prices! Arrive early for the best selection and be ready to be impressed at our incredibly low prices. After all, we aren’t called ReallyCheapFloors.com for nothing! Our current warehouse facilities are located at 149 Regal Street in Murphy, North Carolina, and at 2752 Dug Gap Road, Dalton, Georgia. If you have questions about the hardwood floors at our warehouse sales, feel free to ask our friendly team members who would be glad to provide assistance! ReallyCheapFloors.com has been providing outstanding products and excellent customer service for over 40 years, making us the premier company for quality hardwood flooring products! We also sell ceramic flooring, laminate flooring and area rugs, so if you need something to cover your floorboards there is a good chance that we sell it! If you are shopping online and have any concerns, just send us a message and we will get back to you as soon as possible! Whether purchasing the newest hardwood floors in our showroom or the discounted floors at our warehouse sales, you can rest assured that we only sell hardwood flooring that is made in the USA! All of our flooring products are manufactured in the states of Georgia, North Carolina, South Carolina, Tennessee and Virginia. When shopping at our hardwood flooring clearance sale, you can take price knowing that you are purchasing American made products that benefit the U.S. economy! Check out all of the information about our monthly hardwood flooring clearance sale today to save tons of money on your hardwood floor! 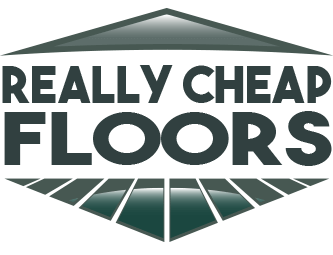 We look forward to offering you a fantastic deal at ReallyCheapFloors.com!